What's solid, dependable and gets little in the way of thanks for doing an important job? 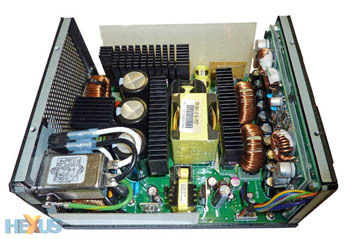 Yup, we're talking about me power-supply units (PSUs). 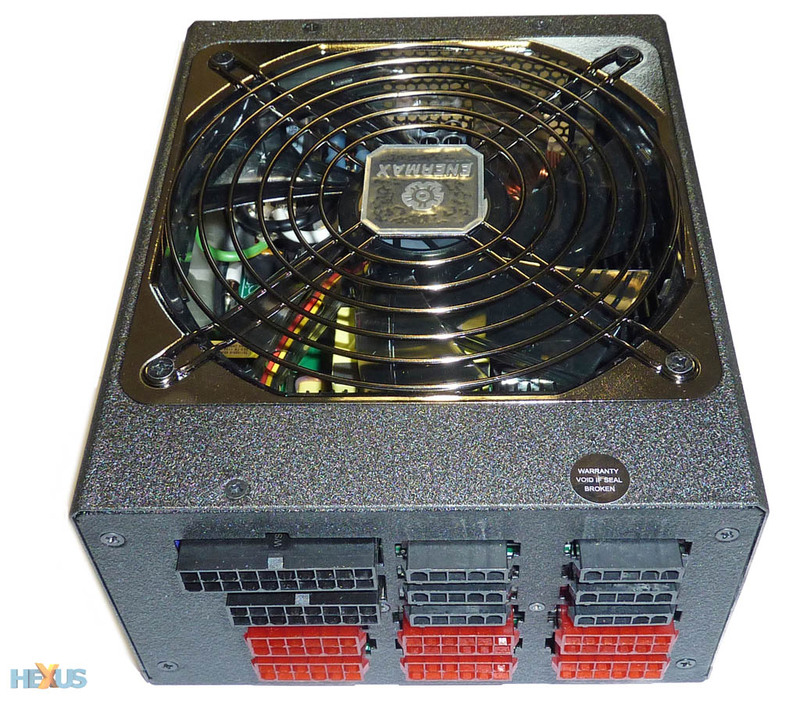 Generally available to the consumer in capacities up to 1,500W and further differentiated by, companies hope, a list of specific features, choosing the right PSU for your needs is actually a more complex proposition than you might think. Enermax, a long-time purveyor of PSUs, is aiming high with its premier line of Platimax supplies. Available in eight models that span the 500-1,500W range, we're giving the 1,200W jobbie a closer look. 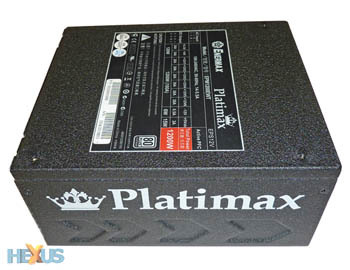 Promising over 90 percent efficiency across a wide load range and with more than enough juice to power an over-volted Intel Sandy Bridge Extreme CPU and a gaggle of high-end graphics cards, the Platimax 1,200W is the 'second-best' supply in Enermax's ever-growing catalogue, bested, in terms of specification, by the 1,500W monster with which is shares many similarities. Build quality is excellent on the Platimax, with the grey chassis being scratchproof. 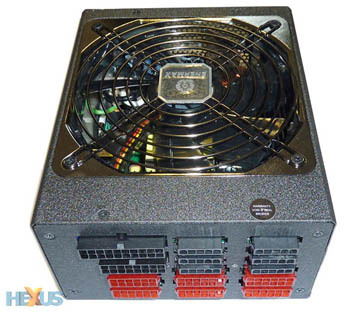 The supply's 180mm x 150mm x 86mm (DxHxW) dimensions are actually quite small for a PSU of this capacity; other 1,200W-plus models can be 40mm or so deeper. A 140mm Twister fan has been carried over from the MAXREVO line, which is sensible, and it features the same HeatGuard technology, meaning the fan spins for 60 seconds after the supply is powered down. A peek at the front shows that the MAXREVO similarities don't end with the fan. Enermax uses a fully-modular plug layout that's identical to the 'REVO's. The red plugs - three sets of 12-pin connectors - are reserved for the GPU(s) and CPU, while the motherboard gets it power from the two top-left sockets. Handily, Enermax supplies a basic sheet highlighting the wiring topology of each socket. And why change a winning formula, seems to be Enermax's design decisions for the innards, for they, too, are practically identical to the also-high-end MAXREVO's. 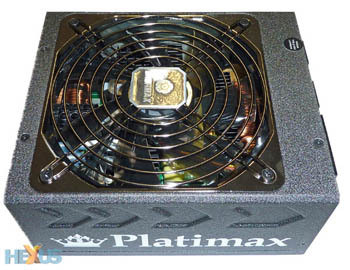 The Platimax makes liberal use of all-Japanese capacitors and overall layout is surprisingly clean, given just what's packed inside a smaller-than-expected chassis. 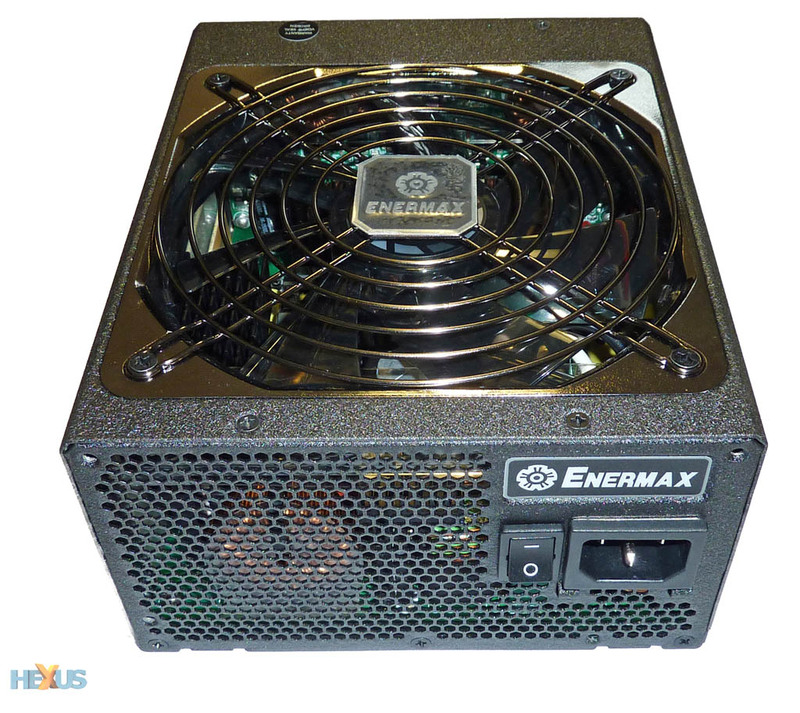 Enermax builds its own PSUs and therefore isn't bridled by design decisions taken by OEMs. On the left-hand side we have the AC receptacle and, underneath on the PCB, the three chokes and X and Y capacitors that make up the filtering stage. The main transformer, in the middle, is very small for a unit of this capacity - Enermax puts this down to the innovative, high-quality design. 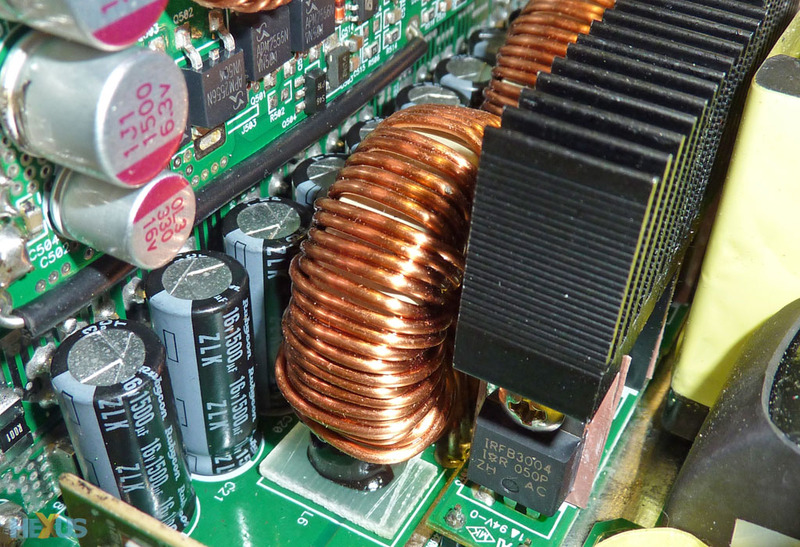 There's nothing obvious to dislike here; the modular sockets connect to the PCB via short, wide copper bridge-bars that do away with the need to have loss-inducing cables from the outside-in. Getting down to the nitty-gritty, the Platimax 1,200W is a six-rail supply that can provide up to 30A on each rail, albeit, obviously, not concurrently. There's a raft of push-too-far protection, as you would expect from a PSU of this ilk, including over-current, -volt, -temperature, and -power protection. We like the fact that it's designed to spit out the quoted numbers with an ambient temperature of up to 50°C, and Enermax has enough faith in it to back the supply with a five-year limited warranty. 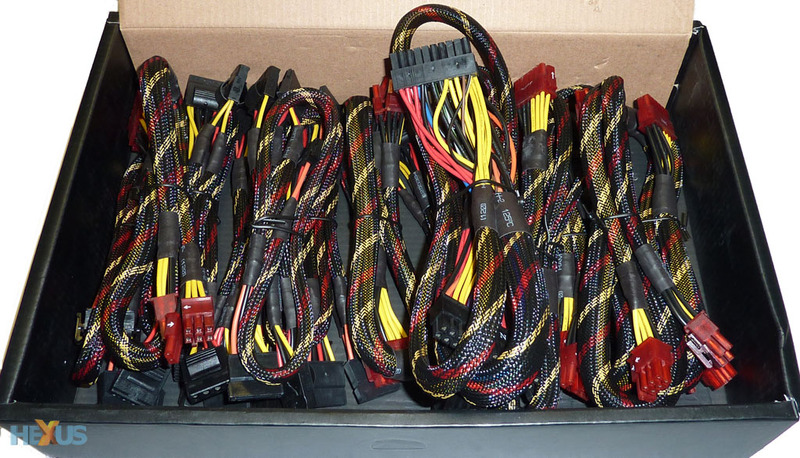 A fully-modular supply is sure to arrive with bountiful cabling; Enermax doesn't disappoint. Aimed at the user that needs absolute versatility in hooking-up the PSU any way they wish, eight (6+2) PEG cables will power practically any graphics subsystem that you can think of. SATA and Molex are plentiful, and the overall lengths are also good. The cables' colour coding matches the sockets'. For what it's worth, the only difference in cabling between this model and the 1,500W is the provision of an extra two (6+2) PEG connectors on the bigger-capacity Platimax. Perhaps we didn't have our customary bowl of three Weetabix in the morning, but the cables take some grappling to get into position on chassis that have the requisite cut-outs for wires. It may be a good idea Enermax to invest some time into looking at flat, malleable cables for the next iteration of high-end supplies. 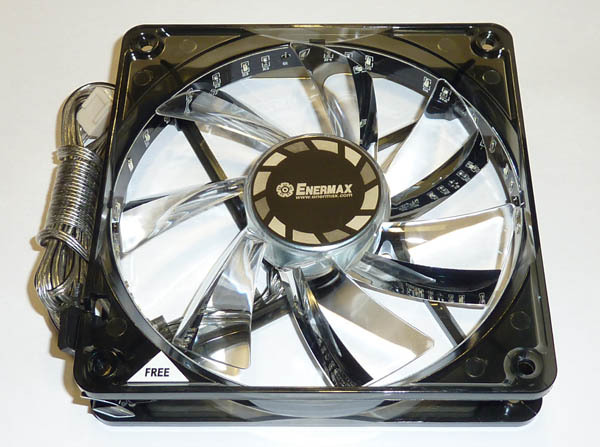 As an aside, Enermax also throws in a free fan with the 1,200W and 1,500W supplies. 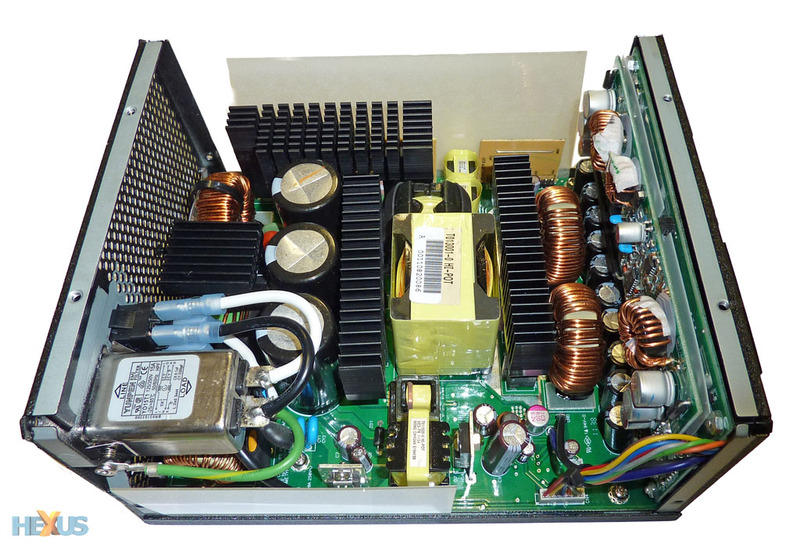 High-wattage, high-quality PSUs aren't synonymous with financial value. The 1,200W Platimax is currently available for a jaw-dropping £275, making it pretty darn expensive, to state the obvious. This one is aimed clearly at the enthusiasts who indulges in all manner of overclocking, watercooling and, well, anything and everything that can be put inside a full-tower PC.